Dubai lacks enough affordable housing options. The limited stock of affordable options in Dubai has caused for the neighbouring emirates to act like satellite cities with around 1.1 million people who work in Dubai residing in another emirate (30 per cent of the active population), as they try to take advantage of the cheaper rates, according to a report. Rates in other emirates such as Sharjah, Ras Al Khaimah, and Ajman are 30-40 per cent cheaper than the affordable options of Dubai, with accessibility to larger size units, said the report by Reidin.com, a leading real estate information company focusing on emerging markets. A time series analysis of workers of Dubai who reside outside increased by 185 per cent (13 per cent to 37 per cent) from 2005 to 2009, coinciding with the tripling of rental rates alongside the limited affordable housing options in the freehold space. However, after the global financial crisis, rental rates plunged causing the transient population to move back to Dubai. From 2009 to 2015, the percentage of workers living outside Dubai decreased by 16 per cent despite the increase in rental rates in 2012. During this period more affordable options in the freehold space became available in the form of DSO, Sports City, and Discovery Gardens, offsetting the hike of city-wide rents. major metropolitan cities throughout the world," the report said. 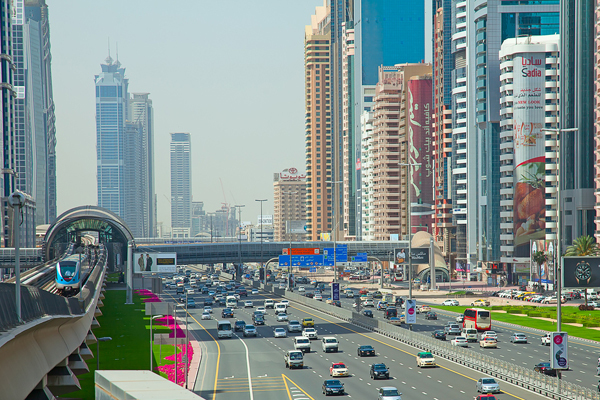 As Dubai continues to push the job engine by deploying a fiscal stimulus in the economy, the population continues to ratchet higher despite the recent restructuring of certain sectors. A dissection of Dubai’s employees' pay scale reveals that salaries have been pushed upwards in the last four years. From 2012 to 2015, workers earning above Dh10,000 per month almost doubled increasing from 12 per cent to 20 per cent.